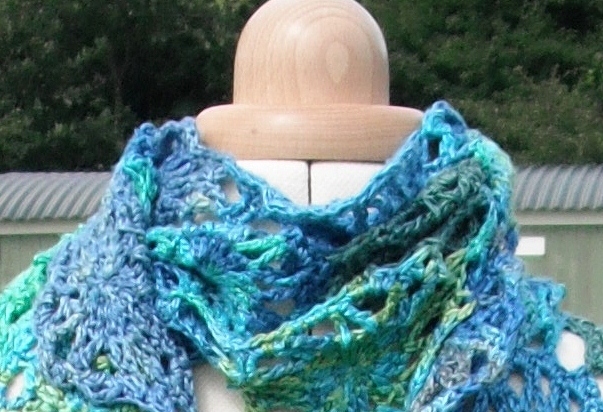 To Knit or Not To Knit…. My forum anniversary was 3 days ago and I have had over 80 people join in either the anniversary CAL or KAL for the 2 designs I wrote about in my last blog. 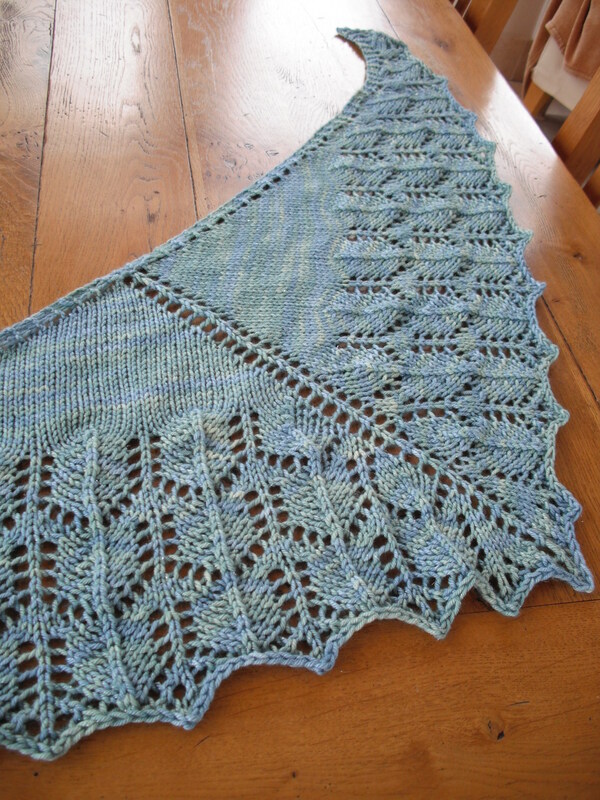 The last time I did a KAL I had only 5 join in, so over 80 is quite astounding! What do you think? Should I progress these designs? In my last blog, I mentioned the special date of 27th August being the 1st anniversary of my Ravelry forum. I can now disclose the 2 designs made for that anniversary. 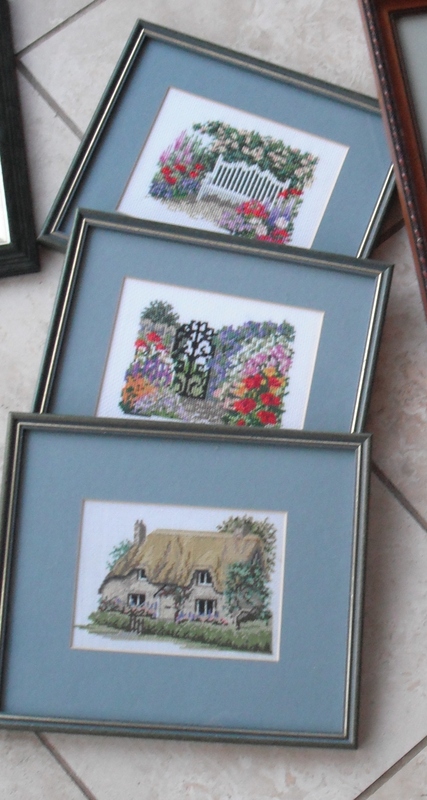 Down memory lane with my sewing machine….. I spent 2 hours in the land of the sewing machine this afternoon. I confess it has been sadly neglected for many years. But working on my sewing machine brings back so many memories. I recall when I went to grammar school, I did one year of ‘home economics’ – which basically was cooking and sewing. Both of which I appear to have mastered beforehand. My mother was a traditional cook and, when I was young, I was encouraged to peel the potatoes and shell the peas, as well as set the table for dinner. Then when I was older I helped in the cooking, indeed my cold hands worked marvels with the pastry (it ended up being my job!). So when I did a term of cooking it was like water off a ducks back – easy and very enjoyable. Then I moved to a term of sewing – if cooking was easy, then sewing was a complete doddle. My mother had taught me very well, I was left alone by the teachers, just to make whatever I fancied because they couldn’t teach me anything. Throughout my teens I carried on sewing, and it was invaluable when I was at uni – I just couldn’t afford to buy clothes. By then I was knitting (taught by my favourite aunt) and crocheting. So I carried on making my own clothes in various media. It was very rewarding. 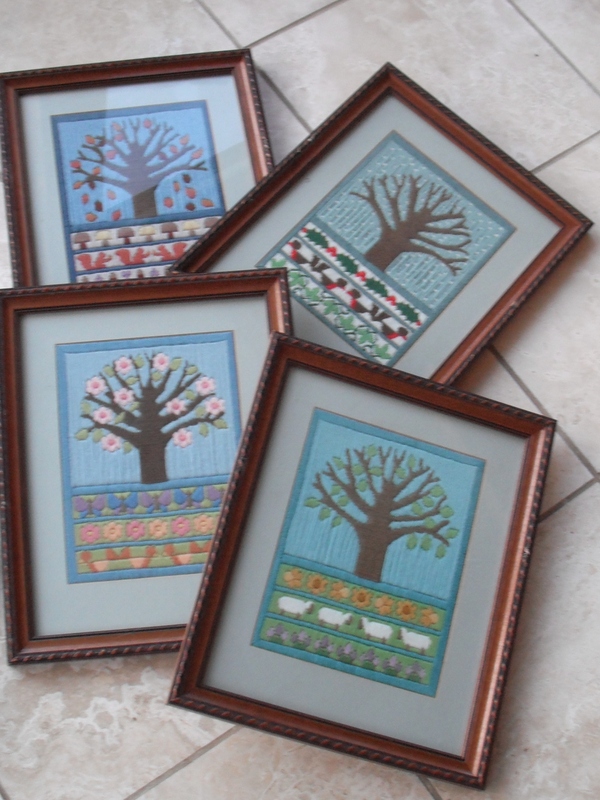 But as many have said before – my working life took over, I no longer had the time to sew, knit, crochet. As you all know, I came back to knitting and crochet a few years ago and, so far, 2013 has been the year of sewing. So today has been glorious, I quilted (for the first time!) and I made a cushion cover. Sewing is so much quicker than my other crafts, which give instant gratification. And it made me think a little, about all the crafts I have dabbled in. 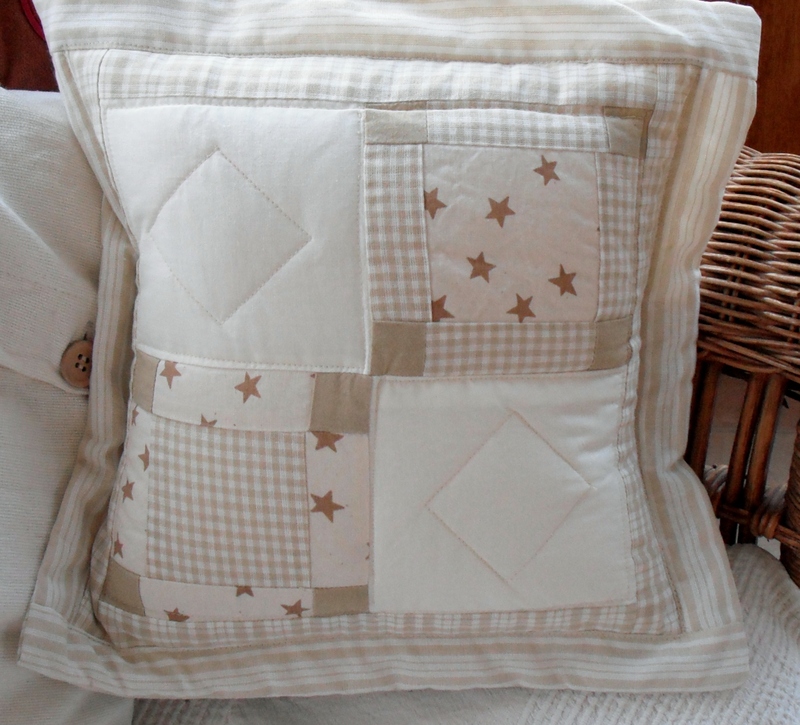 So not only do I have a new cushion cover (quilted! 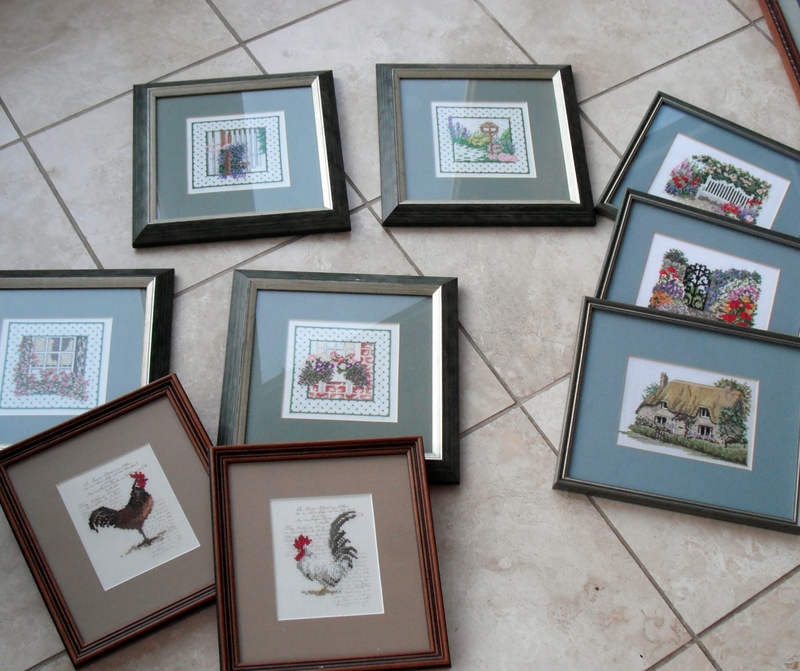 ), but I have also started to reach my old cross stitch and embroidery from the attic – now where on earth will I hang all this? Well I haven’t blogged for a while, so you may think I have nothing to say. But that isn’t the case – I’ve been rather busy, or perhaps I should say engrossed, recently. And I have been a little spontaneous. I was so engrossed with the diamonds that I almost overlooked a special date. On the 27th August my forum on Ravelry is one year old. So it is time to celebrate! And how am I celebrating? 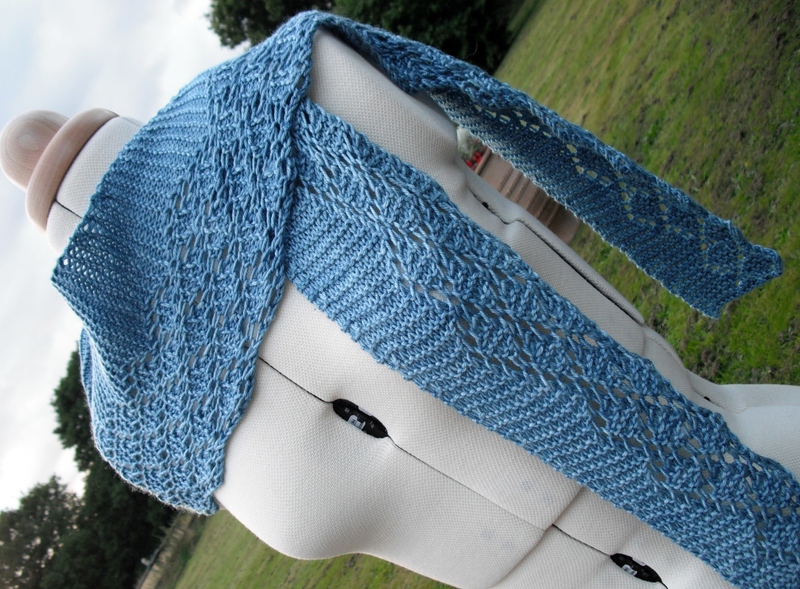 I didn’t take much persuading – I am doing a KAL (Knit-along) and a CAL (crochet-along) on the forum. 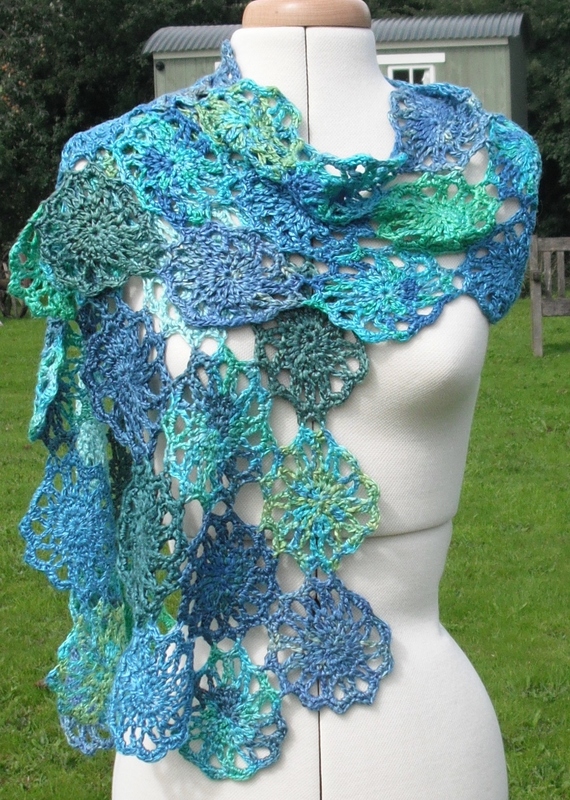 But for these I decided I should design something new, so whilst finishing my diamonds I have also been busy designing a crochet scarf and a knitted sharf. I can’t show you the finished designs yet, but they are well advanced and will be revealed soon. 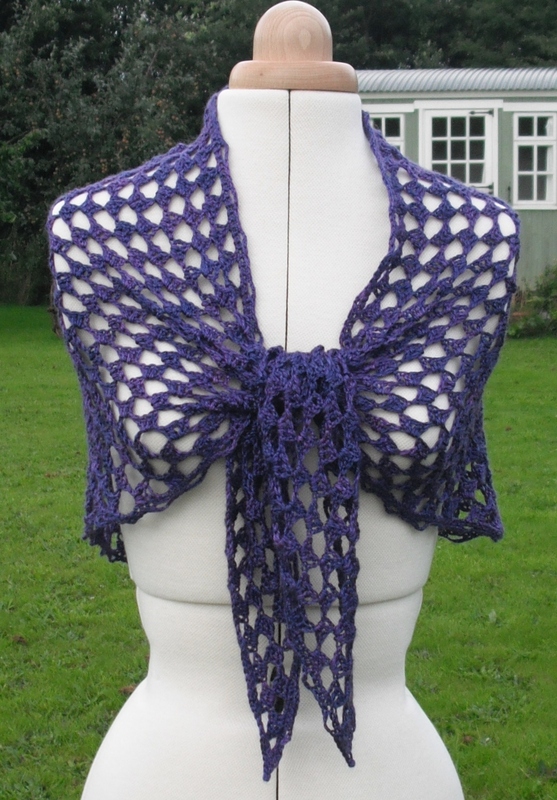 All members of my forum on Ravelry will be able to join the KAL and/or CAL and they will receive the pattern free. 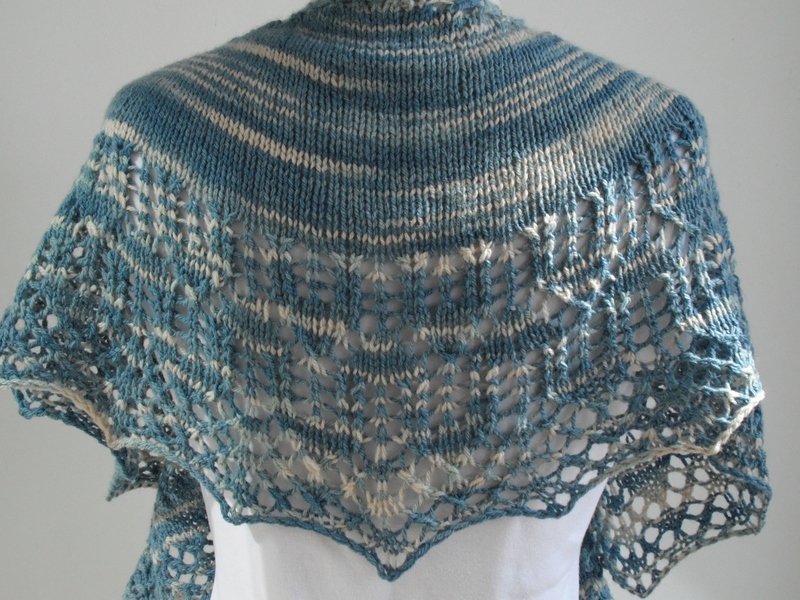 I love these CAL/KALs – I get to see my designs in many different yarns and colours, which is special to me. Finally my spontaneity was a visit to The Festival of Quilts at the NEC. It was an opportunity I could not miss, and I am so glad I went. I saw so much, bought rather more than I planned and was so inspired! But I think I’ll leave that for another blog! If you have ever attended one of my workshops you will have heard me say ‘granny squares are like marmite’ because you either love ‘em or loathe ‘em. 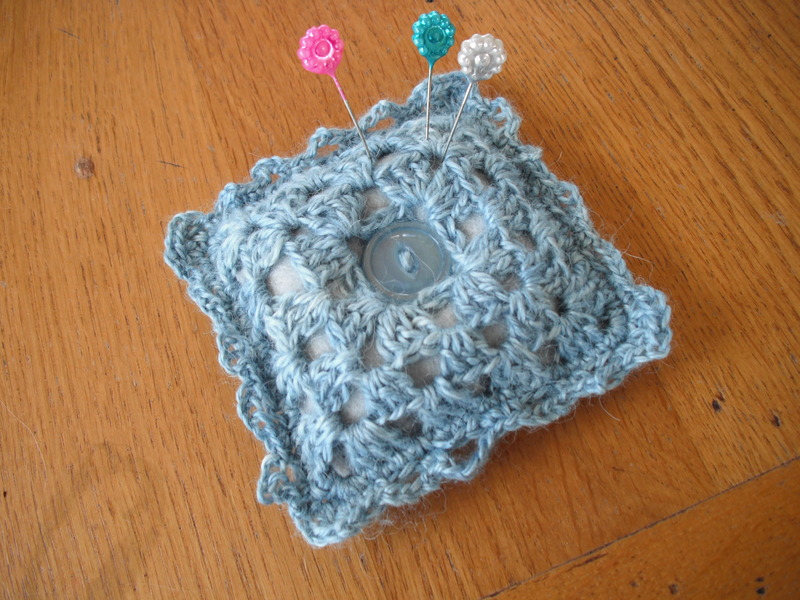 But whatever your views it seems granny squares are firmly embedded in the crochet world. Some people have very strong feelings about them, and some could not care less. So which are you? I confess I used to hate them and I mean really hate them. Why? Well I think squares can be quite boring and I think the repetition of the design is, frankly, unexciting. And I had this view for many years. In my teens I made a granny square blanket, it went to university with me part finished and I finished it in my first year. It came in very useful! But then I moved right on. And, I’m sorry to say, so did the blanket. Now you can experiment with colour in lots of way with crochet, and I absolutely adore the beautiful motif designs by Amanda Perkins – I think they enable more alluring colour experimentation and her blankets are just exquisite, to me so much more pleasing to my eyes than any granny square could be. 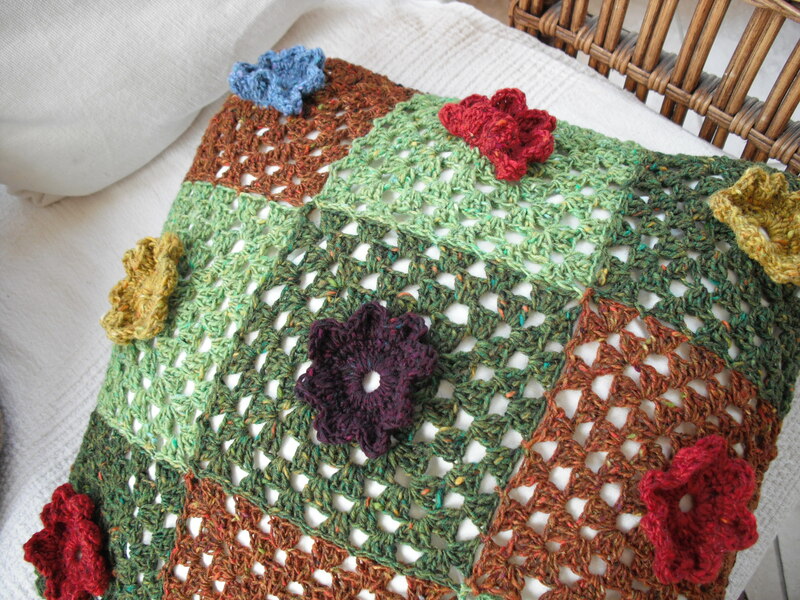 Have a look at her blog here: http://amandascrochetblog.blogspot.co.uk/2013/07/granny-squares.html she shows how beautiful crochet motifs can be. 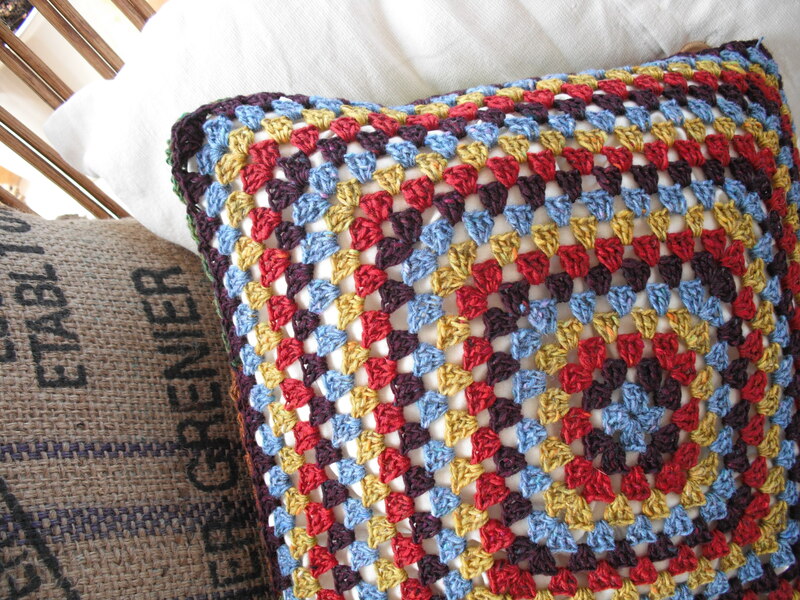 The secondary use of granny squares is that they are simple, and thus they enable beginner crocheters to experiment with colour and make useful items with confidence. 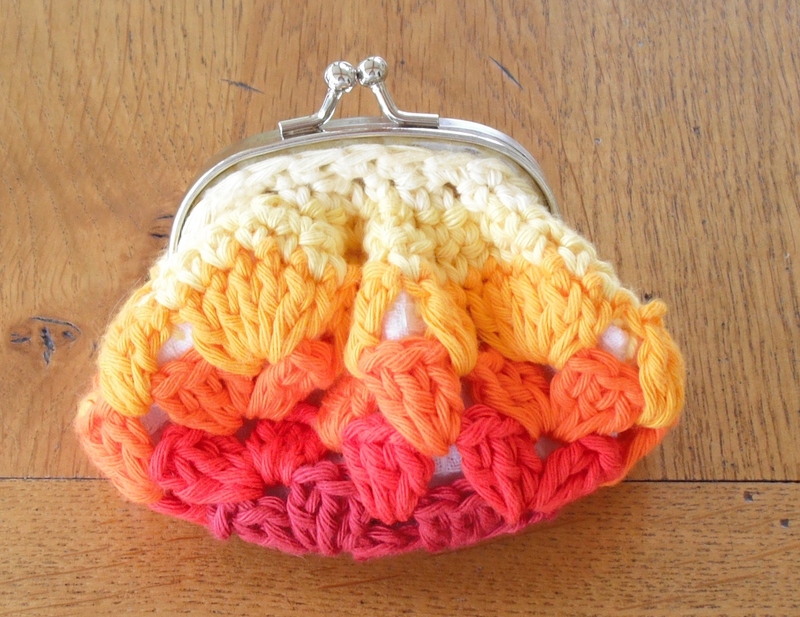 No-one is a beginner forever, so in time most crocheters do move on from grannies. However, I recognise that some do not – they love grannies so much they just keep making them! So be it – the world is big enough for everyone.